The Blind Whino is the kind of art gallery you wouldn't expect! From one end of the city to the other, Washington, D.C., is home to plenty of art galleries. But the Blind Whino is something different. The first thing that'll draw you in is the Blind Whino's unique appearance. 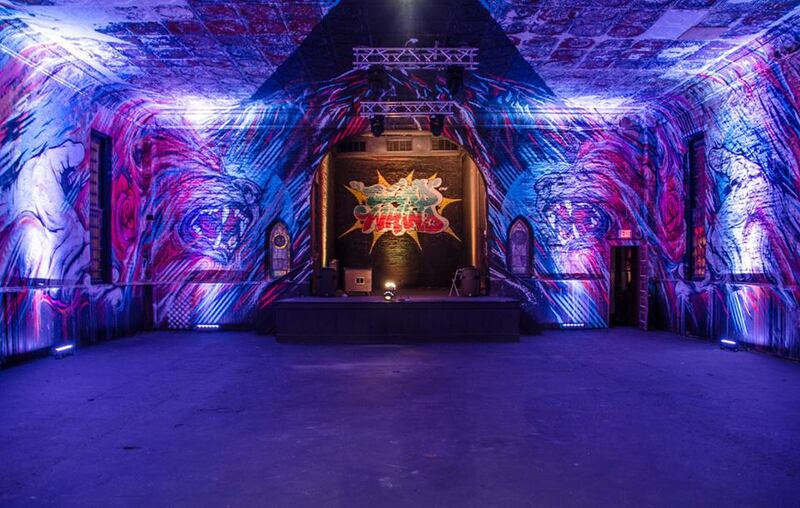 This hip art spot had humble beginnings as the historic Friendship Baptist Church back in 1886. 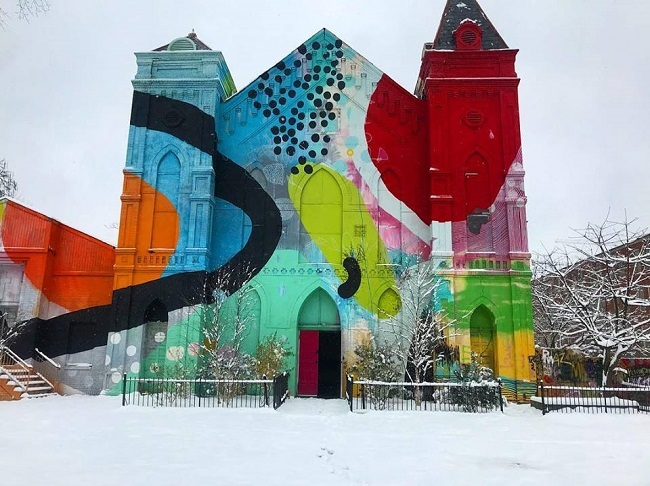 But since 2013, the church building has worn a vibrantly colored facade, and the interior was also converted into a 15,000 square-foot art center that hosts cultural and business events, activities, and community-based arts programs. If you have a thing for architecture, you can wander through and catch the Victorian, Romanesque, Gothic Revival, and Queen Anne elements of the structure. And if your inner artist is always fired up and ready to go, the Art Annex, which is an open gallery at the Blind Whino, holds different exhibitions at various times throughout the year (and you won't want to miss any of them!). One upcoming exhibit showcases watercolors of talented and dedicated hip-hop lyricists. In the past, they've shown hip-hop memorabilia, eye-catching sculptures and installations, historical pictures, photos capturing different people and events, and much more. Keep an eye on the Blind Whino's website for upcoming events and exhibits! What do you think of the Blind Whino? Have you ever been there? If so, what are your thoughts on it? Drop a comment below! Ever heard of the Dupont Underground? it's another D.C. artist's treasure. Learn about it here! Head to D.C.'s Our Community Now homepage for more local news and features that bring us all together!